Theme: What is the Sustainability of Faux and Authentic Fur? The idea of the app for me as a creator is that I wanted a place where people felt comfortable enough to resell there faux and real fur coats and for people to feel like it’s a welcoming and fair place to shop. While doing research before creating the app I was reading about how real fur last for 10 of years and how many people just store away there coats for years. Then I went on to reading about different articles about how awful faux fur is for the environment because it sustainably has the worst fibers for the environment out of most things. 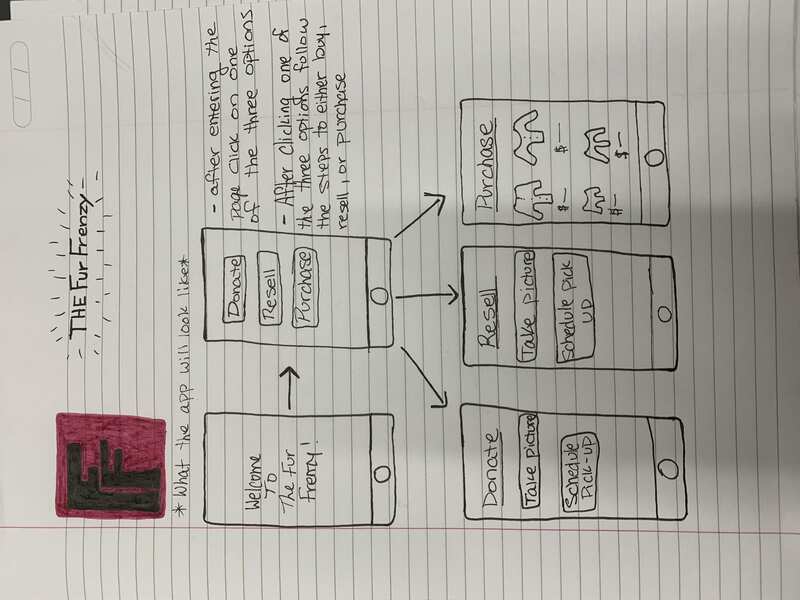 Thats when I thought of making an app devoted to reselling fur but instead how most fur is for the idea of luxury in this case I wanted to do it for the idea or sustainability. The difference between The Fur Frenzy and other apps or other consignment store websites is that we’re not in it for the money but yet to have a safe and sustainable place to shop. We want costumers of all ages to want to come and shop here. So we try to accept most and all coats unless they’re not in good condition, thats why we need to have a picture before accepting to send it to us. Then if we accept it, theres still the occasional time that we will send it back if the condition is not good enough or you don’t feel comfortable with our pricing. But then if you decide to donate the coat then the coat will always be accepted because we donate those coats to the people who cant afford winter coats.